1. A super-handy mop and broom holder, because you're tired of being attacked by your cleaning tools every time you open the closet. 2. 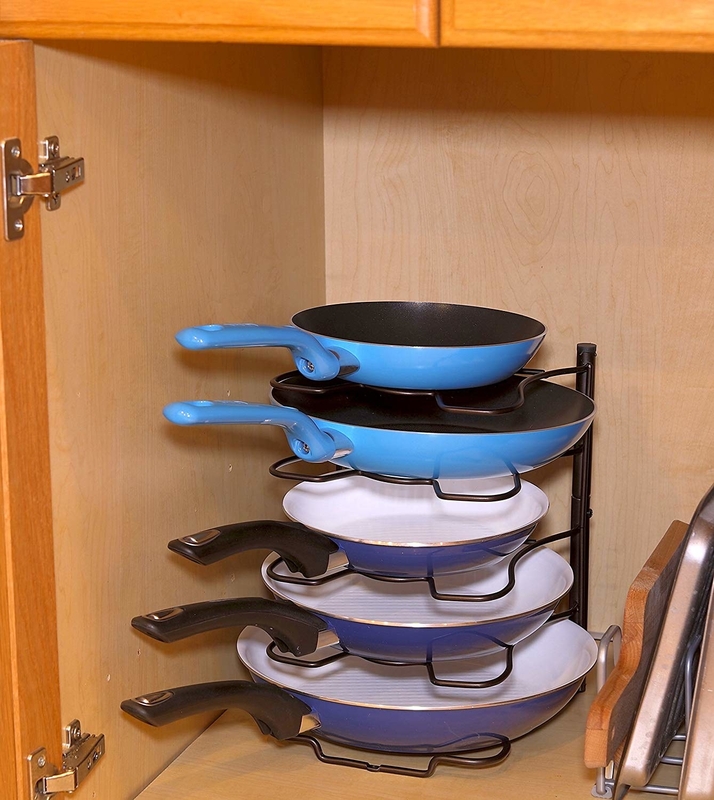 A sturdy metal rack to store your pans, lids, baking sheets, cutting boards, and more. 3. And one for baking sheets, cutting boards, and whatever other supplies you've got cluttering up your pantry. 4. 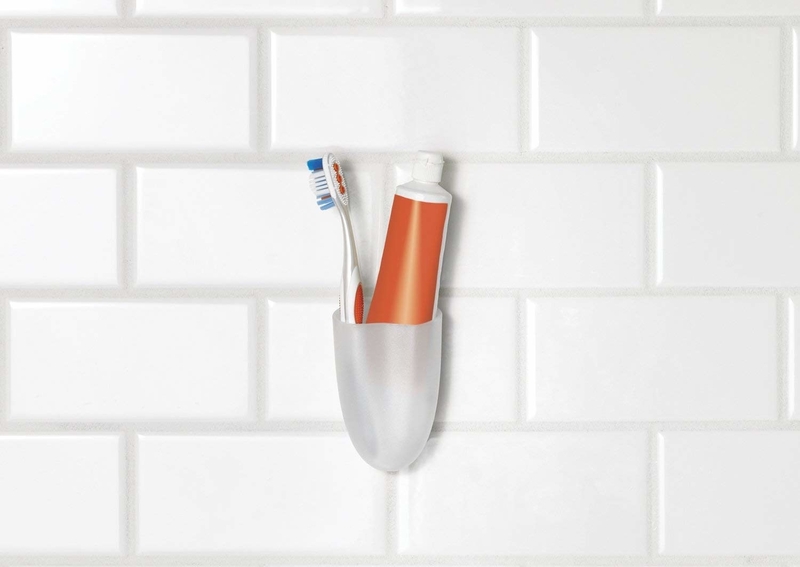 A mesh-pocket shower organizer you can hang right on your shower curtain rings, if crowding up the corners of your tub is starting to get a little old. 5. 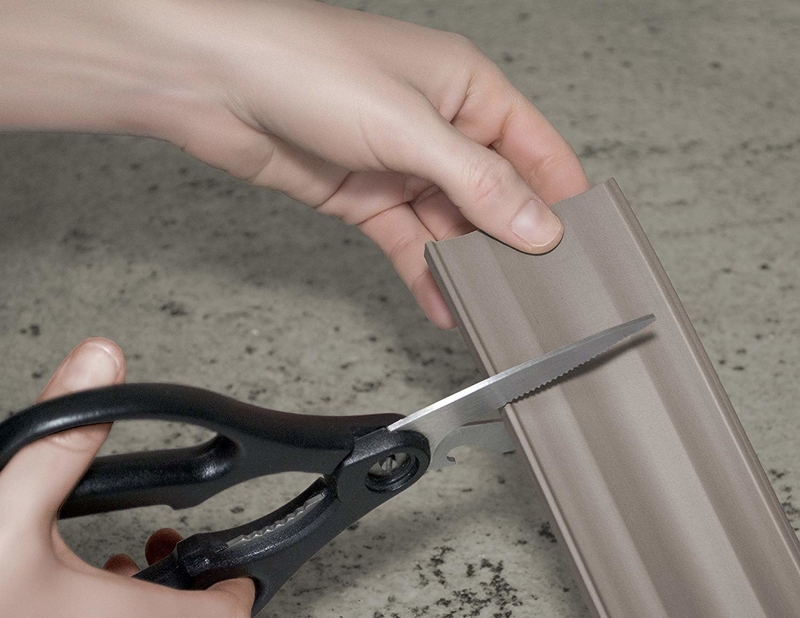 A set of interlocking bins so looking through your junk drawer won't be a panic-inducing experience from here on out. Each set comes with eight bins. Get them from Amazon for $10.89. 6. A cascading wall organizer, because you've got papers and bills all over the damn, place and this, folks, is the solution you've been searching for. Get it from Amazon for $11.22+ (available in two colors). 7. 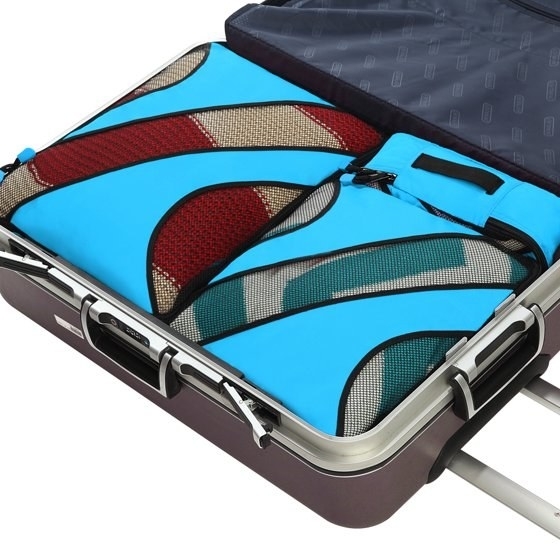 Packing cubes that'll have you legimiately amazed at how much more stuff you can fit into your carry-on. Get a set of four from Amazon for $19.99 (available in 17 colors). 8. A storage unit for your hair tools so you don't have to frustratingly fumble for your blow dryer or flat iron under the sink anymore. 9. 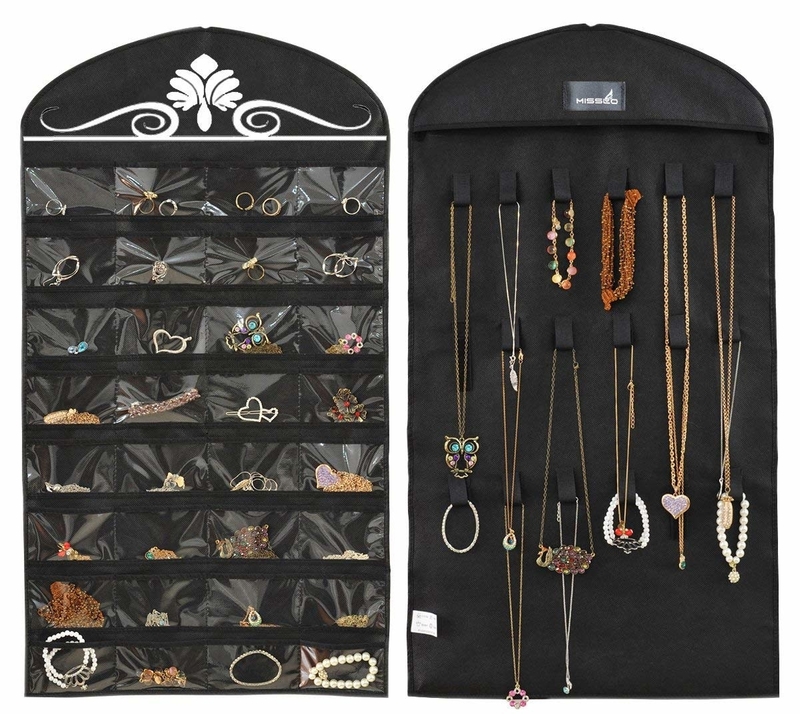 A hanging jewelry organizer that's so smart you'll wonder why you've been organizing your accessories any other way. Promising review: "My girls have plenty of hair accessories and I wanted to organize them nearly where I can see them all. This organizer is perfect! It's sturdy and well made and holds over 100 accessories and the loops on the back are ideal for headbands. 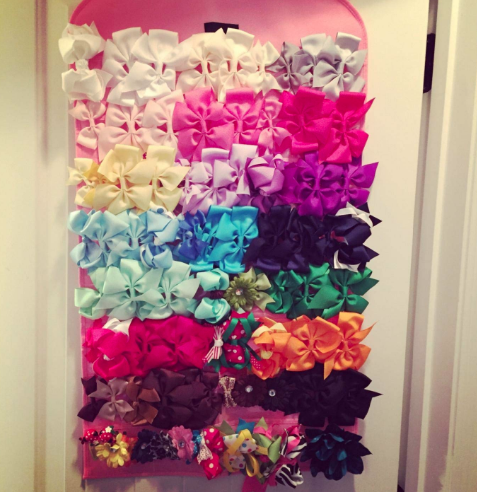 I slightly repurposed it but I love it and I've recommended it to at least a dozen friends who are happily bow organized as well." —Emily T.
Get it from Amazon for $7.99+ (available in black, beige, and pink). 10. An adjustable stand for all your wraps and storage bags you'll quickly wonder how you did without. 11. 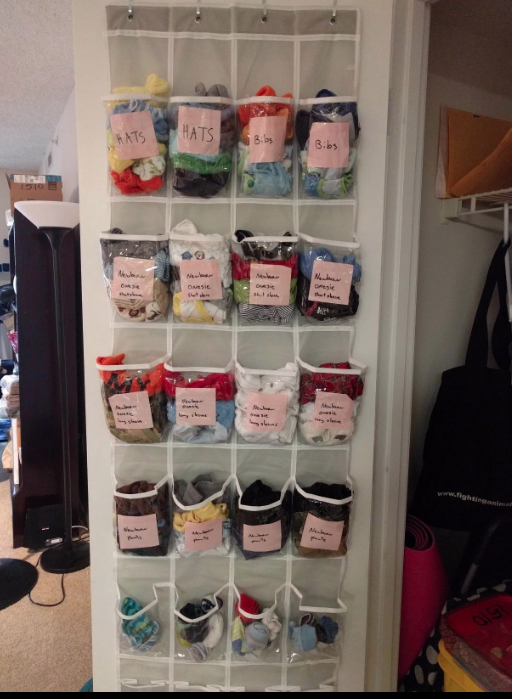 A bra, underwear, and sock organizer so you aren't cramming stuff into your drawers anymore all willy-nilly — plus you'll actually be able to see how many more days of undies you have until laundry day! 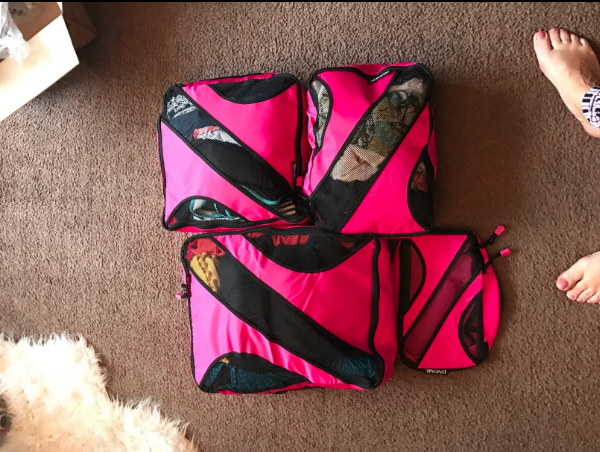 Get it from Amazon for $13.87 for a set of four organizers (available in gray and brown) or $4.87 for a similar set of two organizers. 12. A clear, compact cosmetics organizer that'll make it easier than ever to see what you're working with and keep all your makeup in order rather than strewn about in an old bag. Get it from Amazon for $13.95+ (available in 17 color and design options). 13. 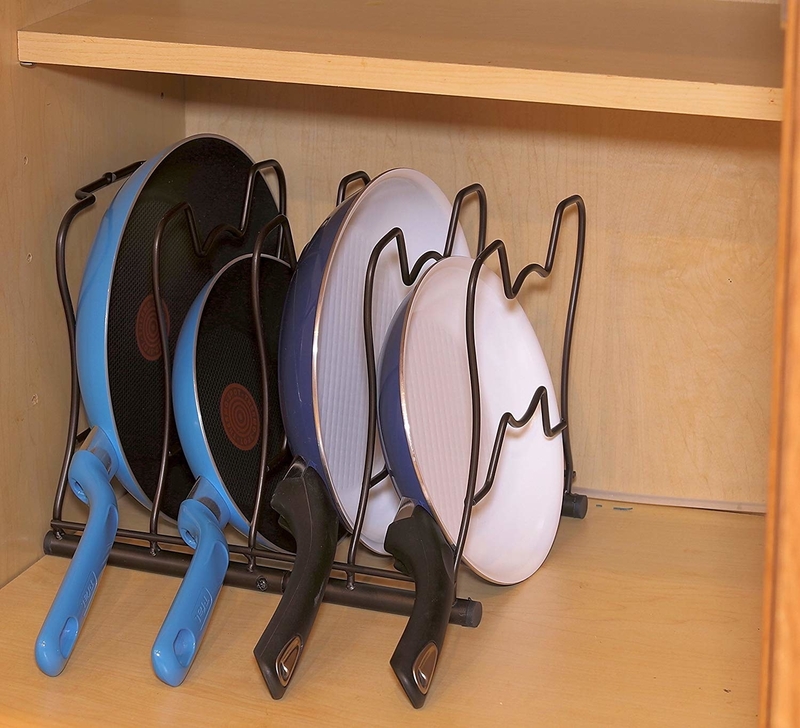 A lazy Susan for your cabinets, so all your pantry goods are always just a quick spin away from arm's reach. 14. A storage basket for laundry, toys, or any odds and ends lying around that'll make your home look pulled together even though you just took 10 seconds to throw everything inside one. Get it from Amazon for $11.99+ (available in four sizes and 22 colors/patterns). 15. A hanging closet organizer so you can finally get your bags, ties, belts, and scarves in order instead of squishing them into a drawer, tossing them in a random corner, or throwing them on your chair (you know the chair I'm talking about). 16. A magnetic knife strip that's not only a convenient way to store your knives but will also instantly make your kitchen look fancy AF. 17. 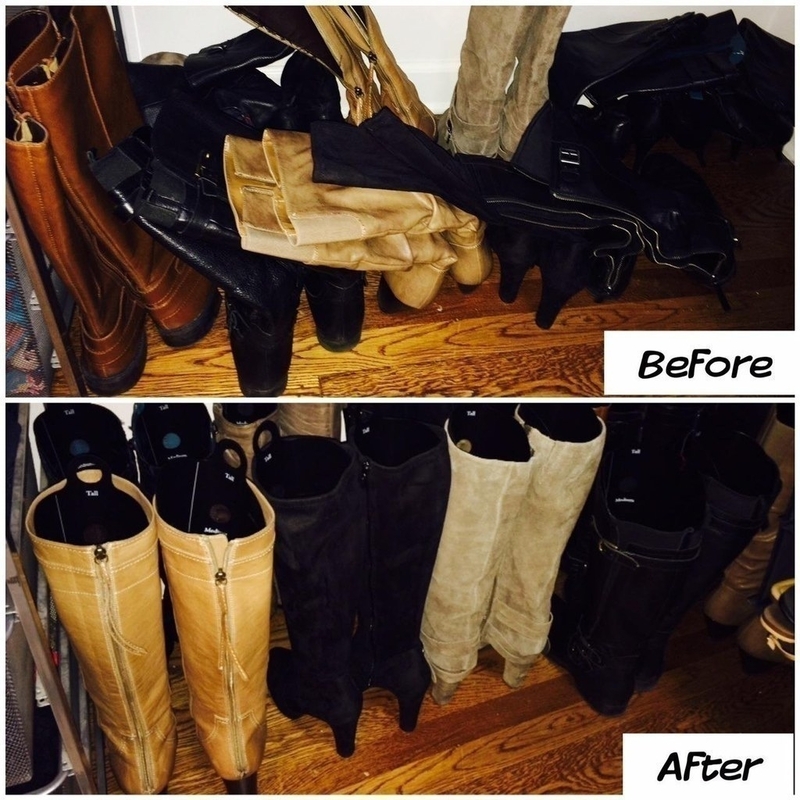 A shaper insert so your boots stand tall — which will not only prevent then from creasing but also instantly create more space on your closet floor. 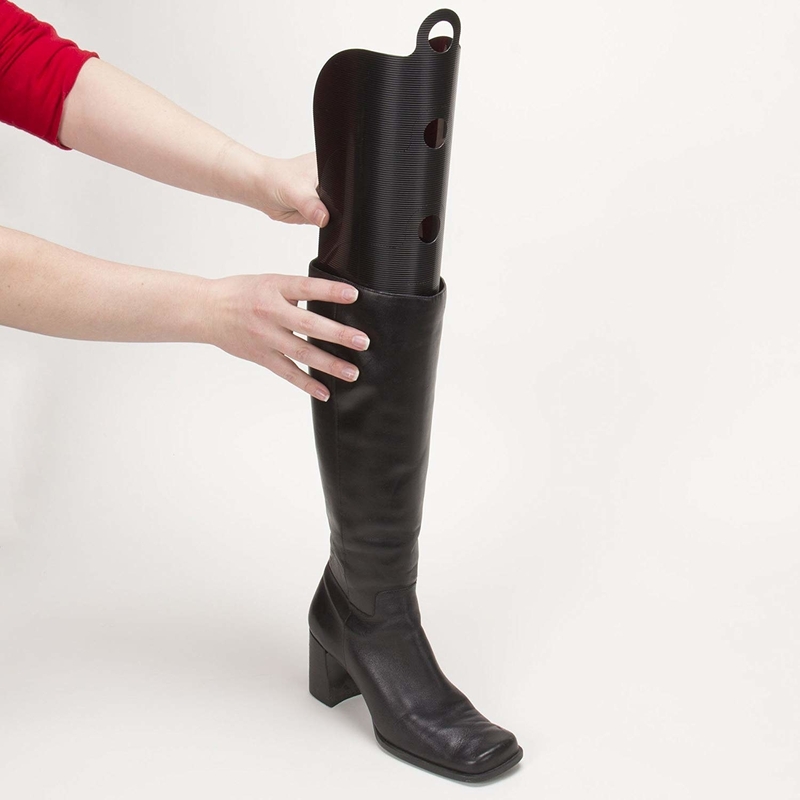 They're customizable for ankle, calf, and knee-high boots, with guides to trim them to fit your shoes. 18. 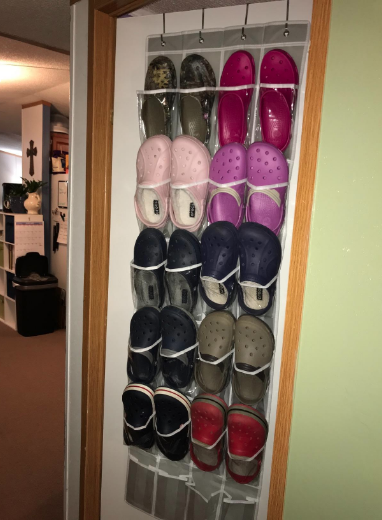 An over-the-door shoe organizer to store anything from cleaning supplies to snacks to actual shoes. 19. 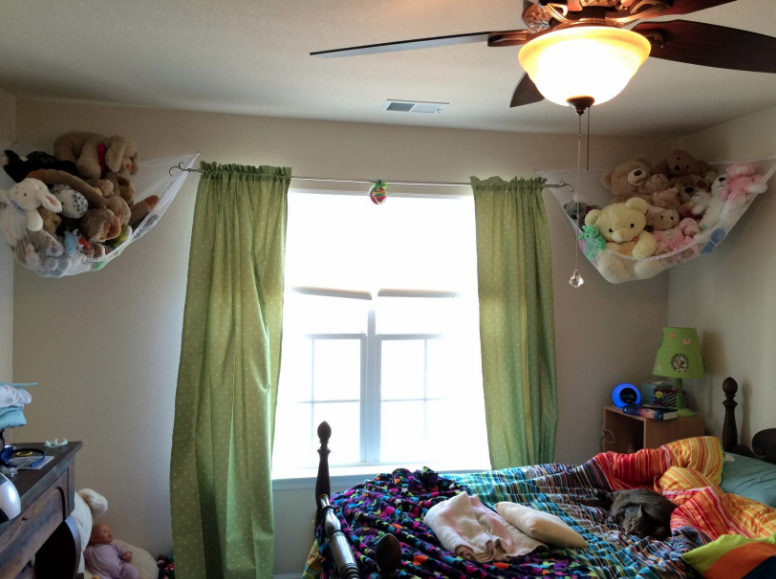 A double closet rod so your kiddo can reach their clothes in the morning (or just so you can double the amount of clothes you can fit in your closet, your call). Get it from Amazon for $10.01. 20. Car seat hooks that'll free up some serious space in your ride when you need to hang your purse or groceries. Get a set of four from Amazon for $5.88. 21. A simple entryway organizer so everyone's keys and mail all have their place. 22. 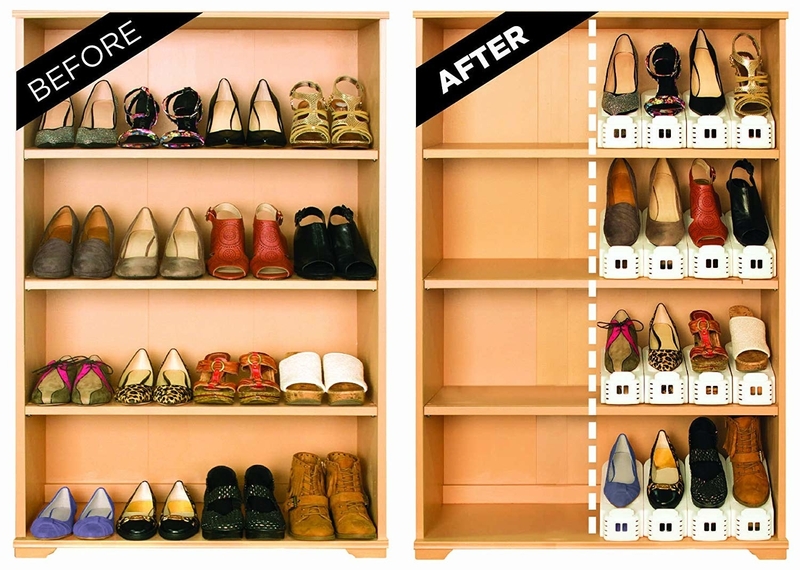 A genius shoe stacker that'll maximize any shoe lover's closet space twofold. 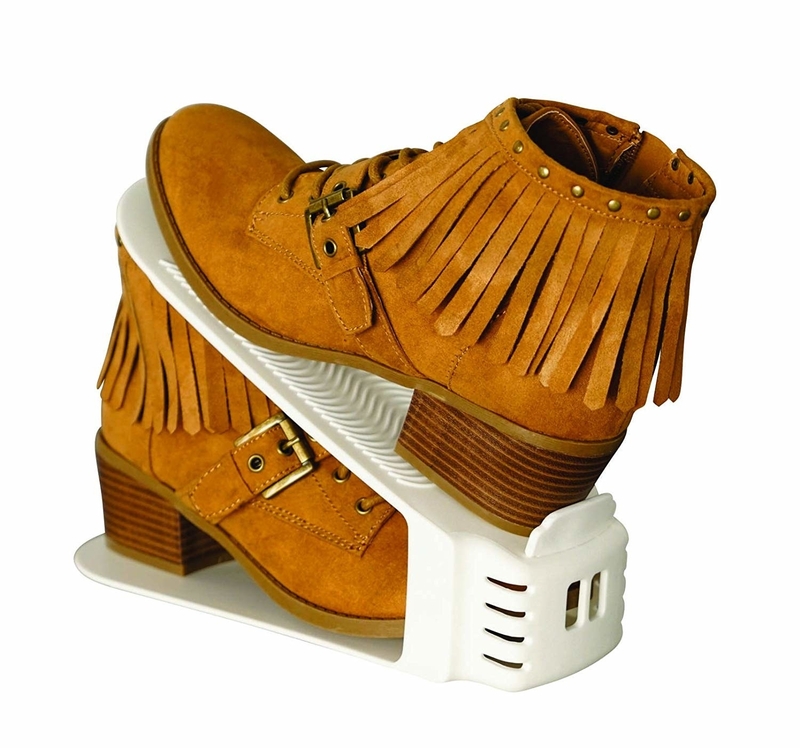 Reviewers have noted it works best with shoes under a 3-inch heel. Get a six-piece set from Amazon for $22.95. 23. A day-of-the-week pill organizer so you never have to worry about missing a dose again. Get it from Amazon for $4.10. 24. 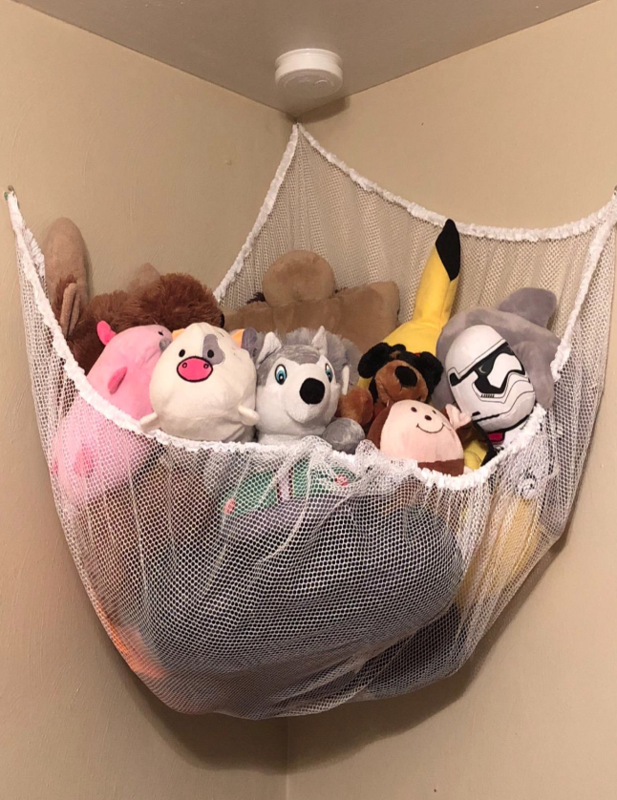 Storage hammocks that'll turn cleaning up toys and stuffed animals into a piece of cute decor in your kid's room. 25. 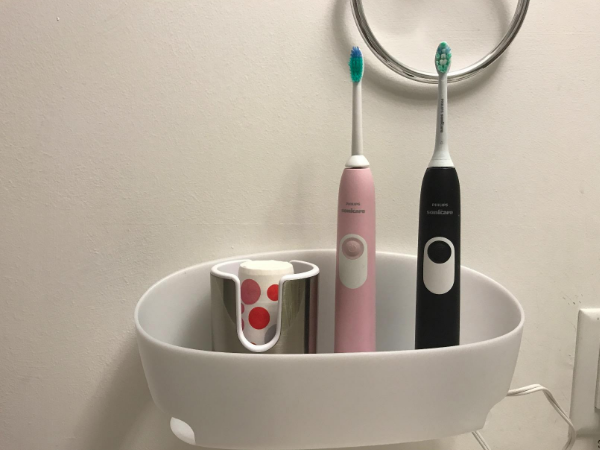 A water-resistant holder to make use of all the vertical space in your bathroom (you'll probably want to buy more than one). Get it from Amazon for $3.73+ (available in a variety of shapes). 26. 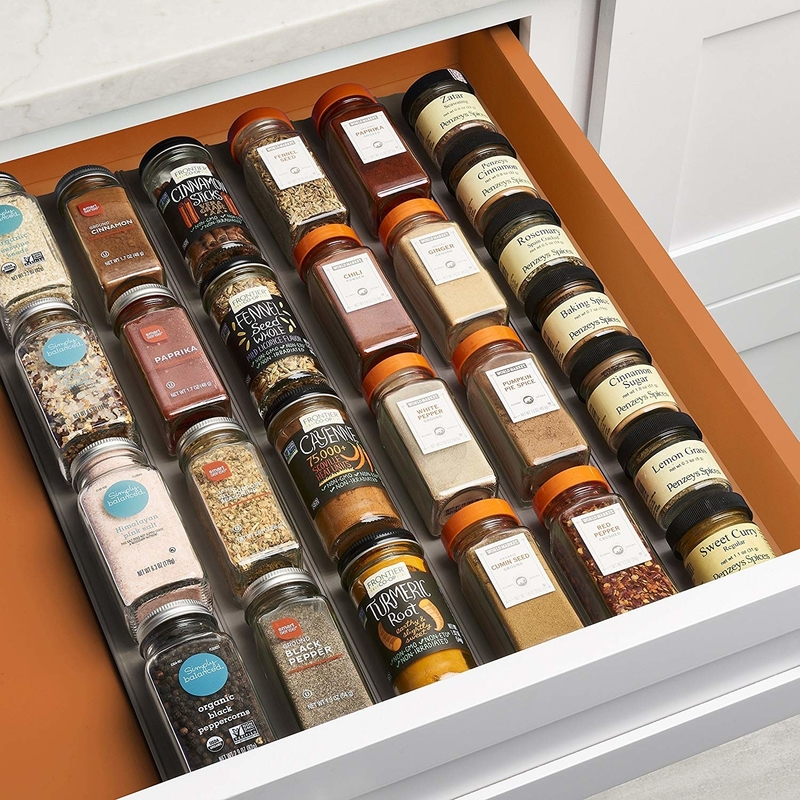 A pack of drawer liners that'll allow you to see all your spices at a glance, freeing up tons of cabinet space to boot. 27. A K-cup holder so you can organize all your coffee from light to dark roast — or however you please — to get your caffeine fix in the quickest way possible and reduce countertop clutter. Promising review: "Easy to fill and remove the K-cups yet the will NOT fall out when turned upside down.Looks great on the counter and with 50 spots I can fill the one side with what I drink daily and the other side with a variety of selections for guests. Very happy with this purchase!!!" —Eric R.
28. And a simple but game-changing plastic-bag holder that'll upgrade whatever situation you've currently got going on (and be a convenient way to toss scraps as you're prepping meals).